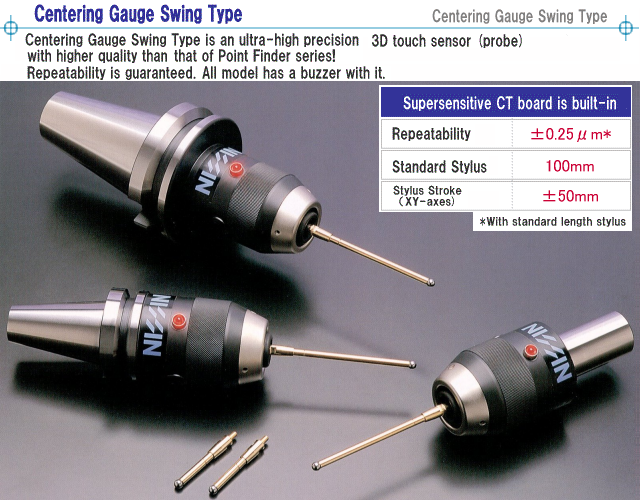 Centering Gauge Swing Type is the ultra-high precision 3D touch sensor (probe) with higher quality than that of Point Finder series. 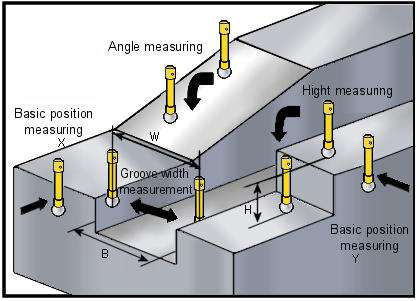 Use it for all kinds of measurements such as for reference position, inside/outside diameters, centering, angle, groove width, and height. Supersensitive CT board is built-in the Centering Gauge Swing Type and it doesn't cause 'Chattering' phenomenon. because of the variation of both voltage and current occured by electrical resistance. 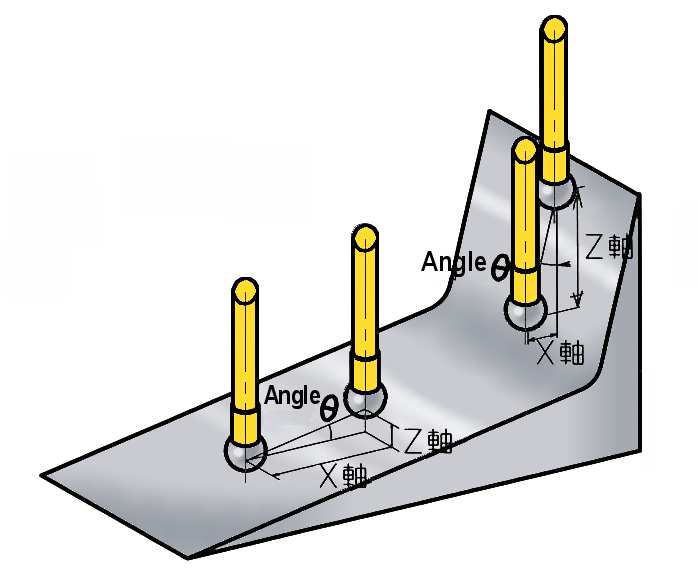 Thin workpiece is measurable because the contact pressure between the stylus and workpiece is lower. It doesn't cause the triangle error. Iron and nonferrous metal materials are measurable. It's unaffected by oil film. 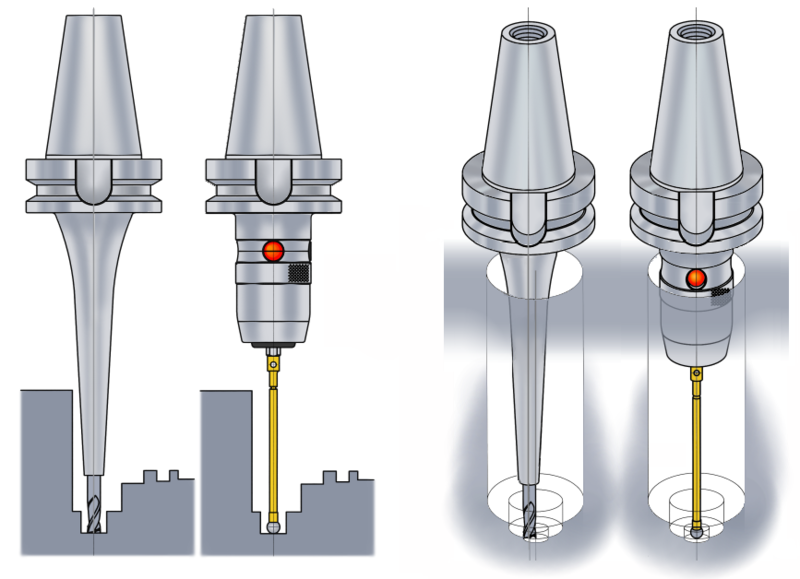 Safety design enables the stylus swing toward X, Y and Z-axes directions and prevents the Centering Gauge Swing Type itself from breakage. Especially, swing width toward X and Y-axis is ±50mm ! All models have a buzzer. It beeps at the very same time when the stylus touches a workpiece and the LED emits. With nonmagnetic stylus, magnetic force doesn't affect to the measuring. Customized model with a connector (but no CT board) can take information as an external trigger code. However, the code is read out as analog signals, so it's neccesary to translate the analog signals into the digital ones. Centering Gauge Swint Type is the 3D touch sensor with higher pricision rather than Point Finder [External Contact Type]. 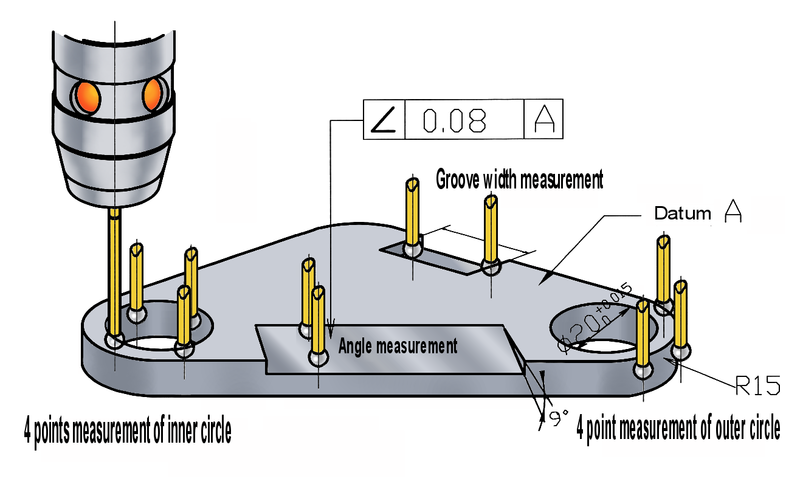 Centering Gauge Swing Type makes it possible to measure reference position, inside/outside diameters, centering, angle, groove width, and height. Those measurements are very important before the metal working. With Centering Gauge Swing Type, it is easy to measure the angle of narrow workpieces, which angle gauges can't measure, on the machine tools.